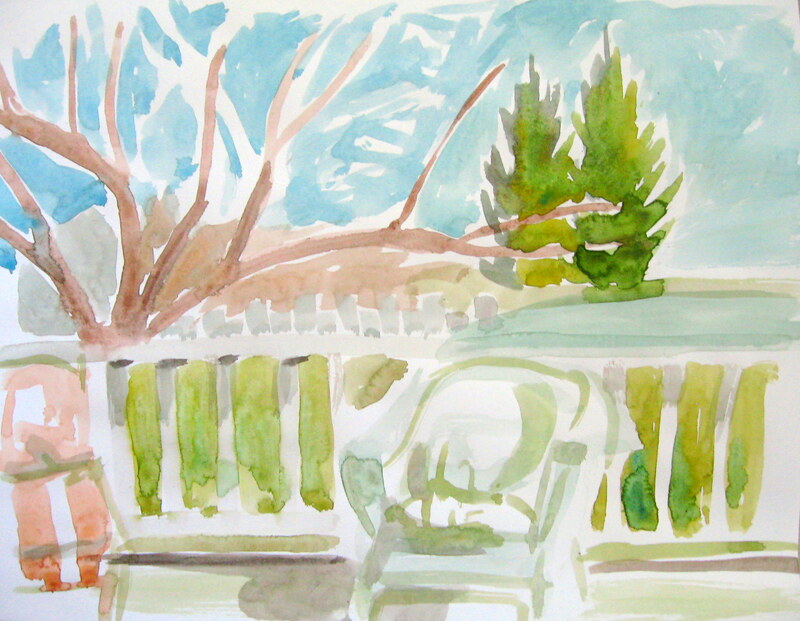 My daughter and I did some watercolour painting out on the deck today and, as ever, I am fascinated with her paintings. Take a look at the similarities between our paintings today—the colours and the compositional elements of the view that we had of the backyard. 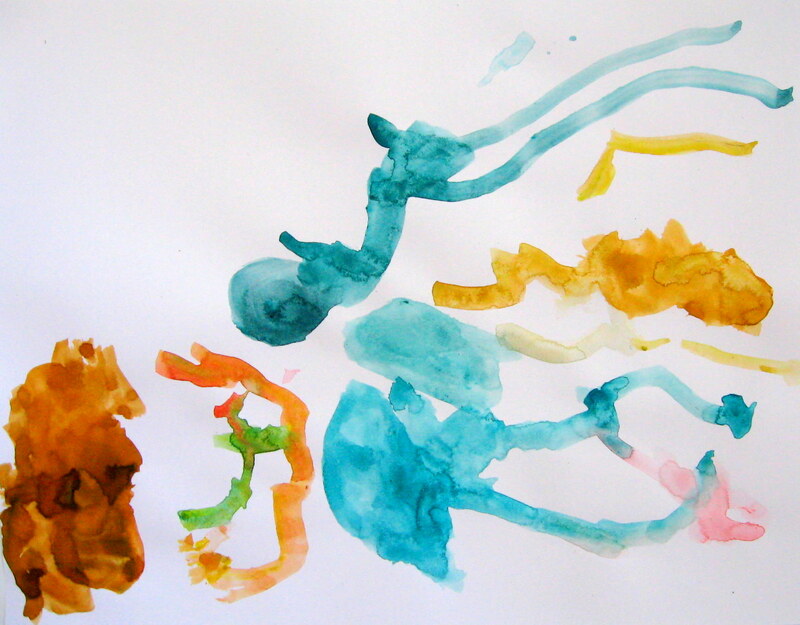 The odd thing is that she started her painting first. She has the orange rectangle where the orange deck chair is and the blue shape up top is reminiscent of the arching honeysuckle tree branches. Is it by chance that she painted it the way she did or did she, at only 3 years old, pick up on colours and compositional elements in front of her? 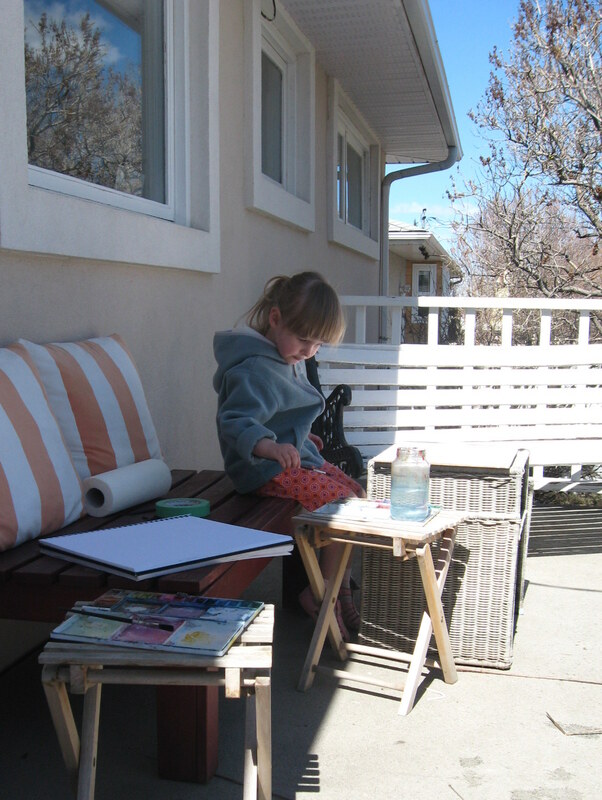 Maybe she started imitating my painting once I started, or maybe I was actually influenced by hers, who knows. Regardless, I am finding myself artistically inspired by her more and more. ← Blue night-time, Orange sunset, Green turtle. What an artistic family all of you make! Love it!